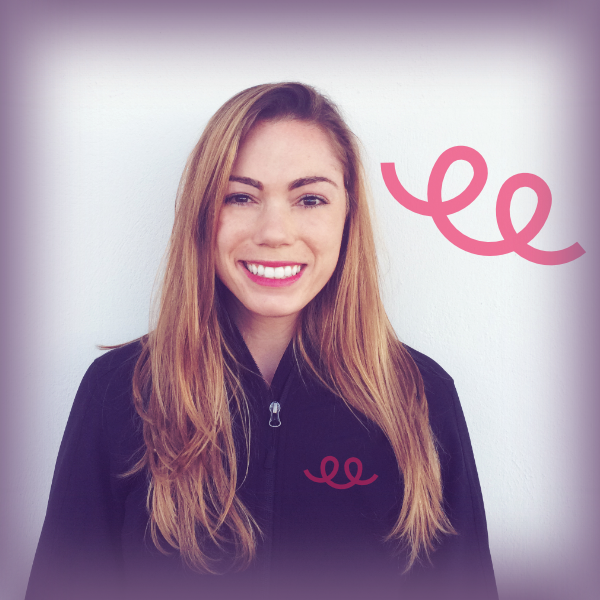 Just starting out with Teespring and want a higher profit margin? You’re in luck! Teespring offers flat pricing, but our Pricing Discount Tiers enable sellers to earn more profit on each item sold. So how does it work? Your pricing discount is applied to every listing launched within the month. As soon as you hit a new discount tier your pricing discount is automatically triggered. This means any new or relaunched listings within the month have the discount applied. You can move up in tiers as fast as you want, and you’ll only drop down one tier per month. For example, you were in the 1,000 – 2,000 tier in June, but in July you sold 400 items—in this case, you would only move down one tier. So in August, you would be in the 500 – 999 tier (not the 100 – 499 tier). On the flip side, in your first month, you can jump from zero sales to the 5,000 – 9,999 tier and receive the $3.40 discount on any listings launched that month. Let’s say it’s September and you’ve sold less than 100 units. On September 29th you hit 100 units. 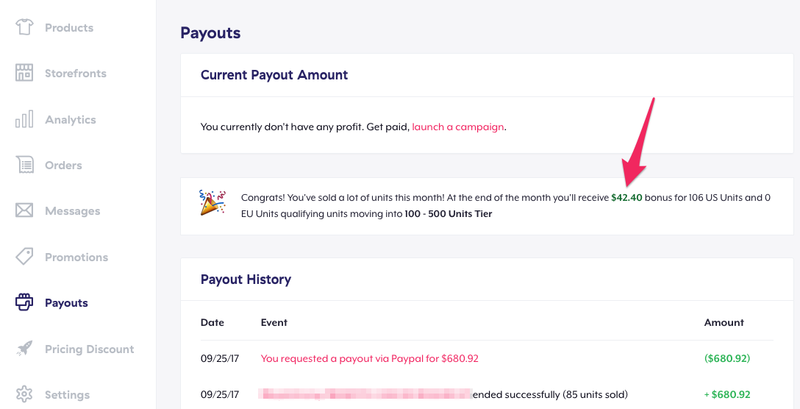 You will receive a notification in the payouts section of your dashboard congratulating you on hitting the next tier. When you launch new listings you will notice that the new discount of $0.40 is now being applied to the base cost of all the products you create. Woohoo! But what about the products you created and sold during the first 29 days of September? Your new $0.40 discount will ALSO be applied to any products sold on new and relaunched listings with a start date in September. You will receive this bonus in the form of a “Retroactive Payment” which will appear within the payouts section of your dashboard (sent via your default payment method). 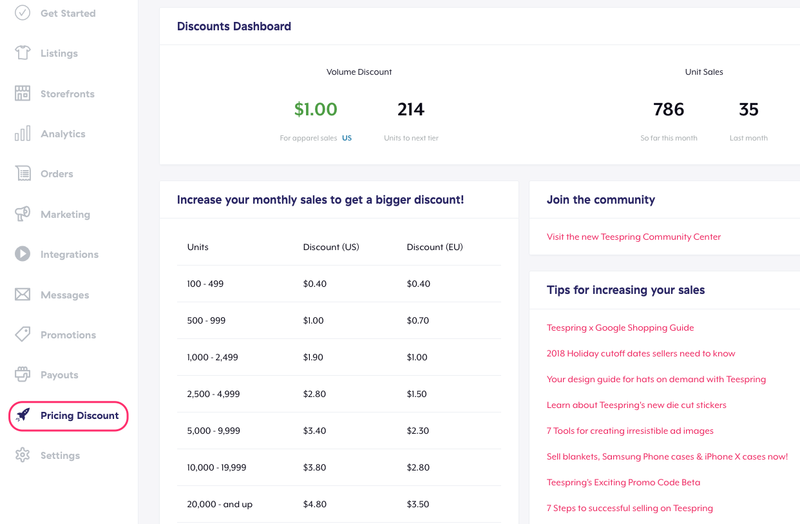 Keep in mind you can jump multiple tiers within a month; the highest discount is automatically applied to new/relaunched listings and you will receive the highest discount in your retro payment as well. Sellers who consistently rank within discount tiers usually get faster payouts. Learn more here. Even though some of our newest products don’t receive a pricing discount they do count towards your overall monthly sales count and can help you reach the next discount tier. Sales acquired through Teespring’s Boosted Network and Teespring Marketing also count towards your monthly sales. You can learn more about which products can receive a discount here. Good I’m agree your conditions. Do the members get a wholesale discount? What does “tip” mean in the following sentence? Keep in mind listings are automatically extended until they tip (when set to continuous relaunch/always available). The article was very helpful! Hey Kay! “Tip” means to be successful, i.e. sell 1 item. I did not get any bonus yet. I have sold 100 unit last month.